Jun 25thWould anyone like to try out Open Sim? I have made it simple for you. Get an account. Pick a name you can live with, but since it’s free, you can get a another if you really don’t like your name. This is where you choose your viewer. It’s like a web browser for 3D worlds. I like to use Singularity, although some people find it a bit too ‘old’. I like it because it’s stable. Install the viewer and start it. 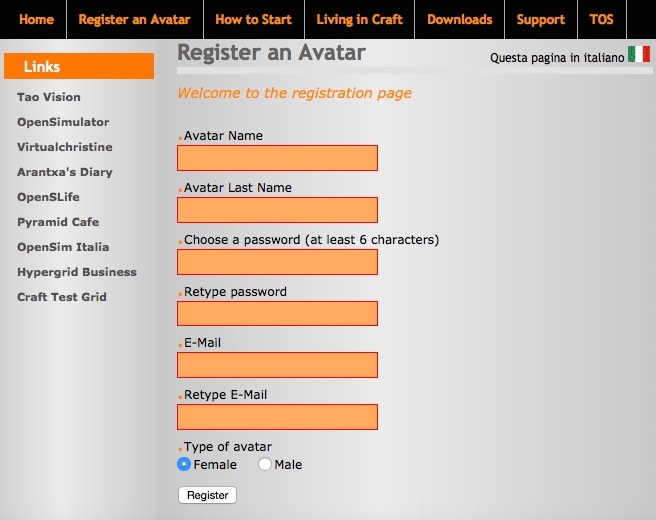 Log on with your account name, first and last name, pick Craft-world in the list. If you’ve picked a viewer that doesn’t list Craft-world, comment here and I’ll tell you what to do about that. Once you’ve logged on, click the button Map. In the window next to the search-button type: Luna Fiori Centrale, that’s my region. There you’ll find the basic avatars I’ve collected. Left click the cone or triangle next to the bot you prefer. Click wear clothing now, then buy. Done! Do come back and let me know how you’re doing and what your name is. A while back I posted about joining Second Life and creating an avatar. You’ll find the post here. Today I logged in to Craft-World and noticed the amazing new Welcome Center. I was really impressed. It was the most practical Welcome Center I’ve seen, with teleports to different parts of the world. 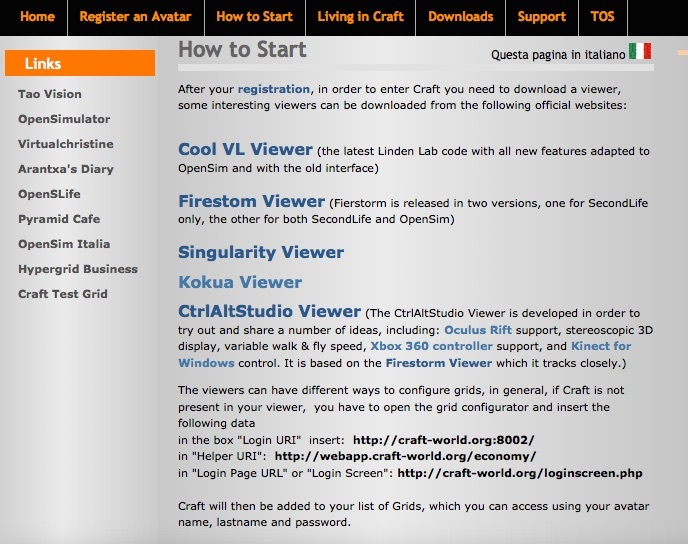 I’m really proud to be part of this friendly world and to have my two regions Luna Fiori and Luna Fiori Centrale as part of Craft.